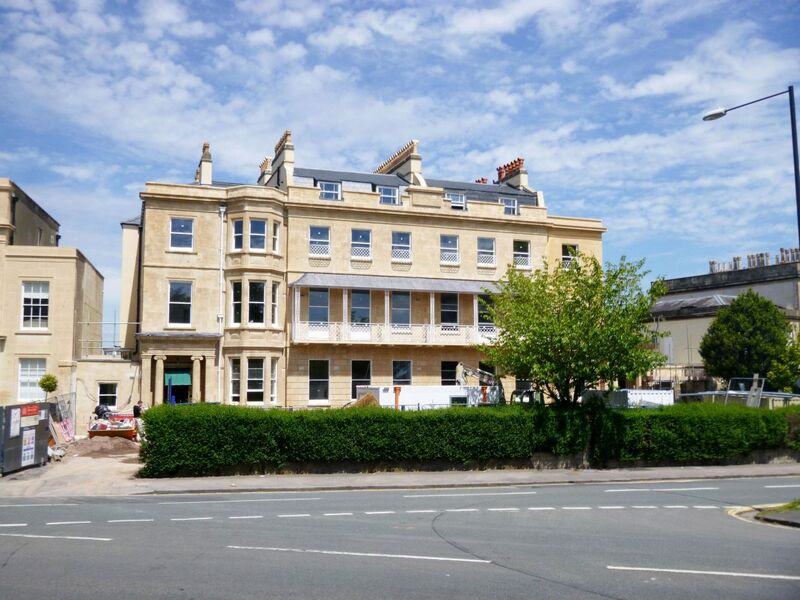 Conversion of Grade II listed residential home to form eight apartments. Litfield Place was originally constructed in 1828 as two dwellings set within a grand regency villa overlooking the Clifton downs. As early as 1880, modifications were made to convert its use into a large boarding school and later a residential care home. 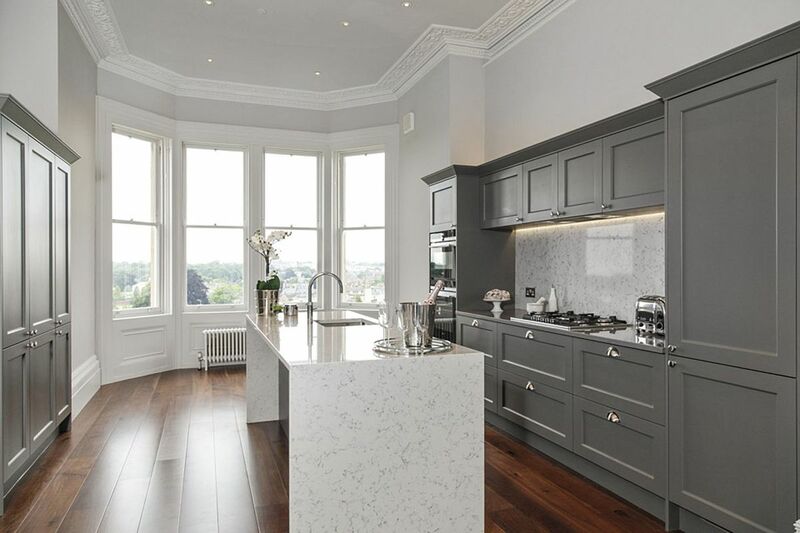 In response to our brief to restore the building back into residential use, we were able re-invigorate this tired regency villa and create stunning spacious apartments embracing both heritage and modern day living attributes within the scheme. From the beginning of the project our conversion strategy was informed by a detailed heritage assessment carried out on the building. This highlighted that the building had been extensively altered in the 20th century, losing a good deal of its original detail and character. The exterior of the building had suffered particularly badly from these alterations with the majority of damage inflicted on the rear façade. This had an array of 1960’s interventions; externalised lift shafts and flue stacks, a vast range of poor quality modernised window replacements all coupled with ill proportioned and unsightly rear extensions. We concluded that there was merit in completely re-working this elevation aimed at unpicking the assortment of heritage damage. The front façade of the building had fared better but none the less had lost original regency elements, most notably its ornate piano nobile iron canopy. This was therefore ear marked for reinstatement within our broad plan to restore the exterior grandeur of this elegantly proportioned regency villa. Our strategy for the internal works was more robust. The interiors of the building had also been significantly altered and had lost original detail but in addition its plan form had been extensively reconfigured. This gave us an opportunity to have a freer hand in our conversion approach. As with the exteriors we ensured that we removed modern interventions and reintroduced missing detail apartments. Within the lower ground and basement spaces which, had been completely stripped bare of detail, we adopted a more modern approach to the conversion design, introducing large duplex format apartments linked by striking modern glass staircases. The net result of our overall approach meant that we maximised the appeal of the interiors, with large open plan modern living style spaces blended with heritage detail. 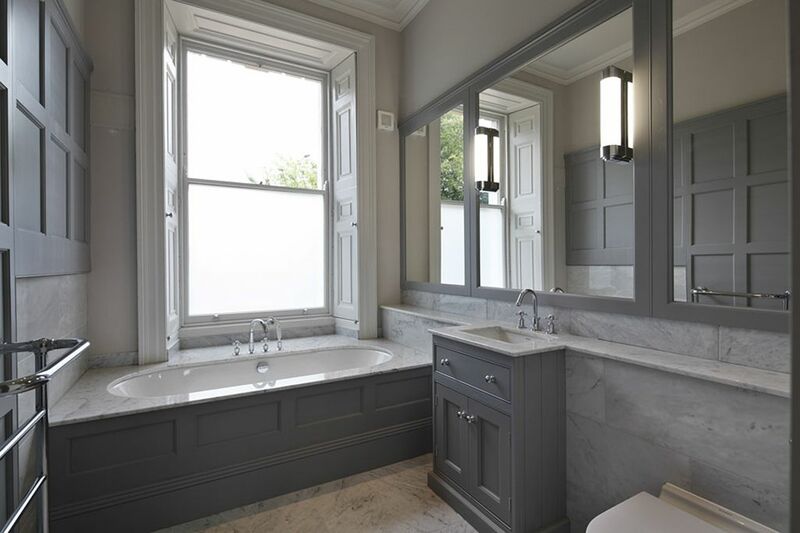 This required careful negotiation through the Listed building process but produced spaces that responded well to purchaser’s expectations central to the clients brief. All completed apartments have been hugely popular, all sold off plan and exceeded the clients’ expectations for gross development value.